Here is the last in my Kaisercraft Flora delight series, and I used paper from the 6″ pad and the matching collectables on this one. 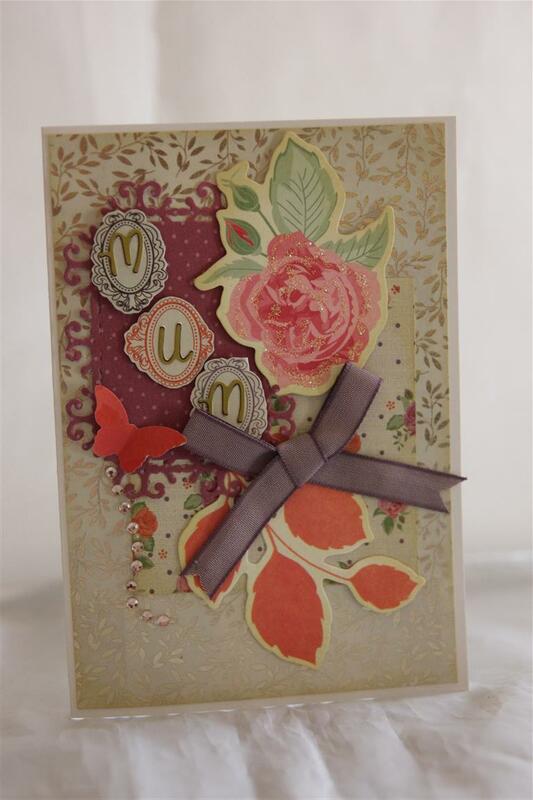 I also used a bit of kaisercraft flower ribbon trim – snipped to represent flowers and added a bit of bling to the centers. I also added some bling strips and a ribbon bow. Did get here tonight, not so sure about tomorrow night though, we’ll see… til tomorrow, maybe…. This is a pretty one! The paper is from the 6″ pad, which along with the collectables are from Kaisercraft Flora Delight.I punched a butterfly, and added some bling and ribbon. I found some letter stickers to spell out Mum. Posts will be a little erratic over the next couple of days – I pick up my new car tomorrow afternoon and I am teaching a class on Thursday night, so that’s a bit busy getting home from work and organising tea before I go – we will see what time I have – Til tomorrow – hopefully,…. 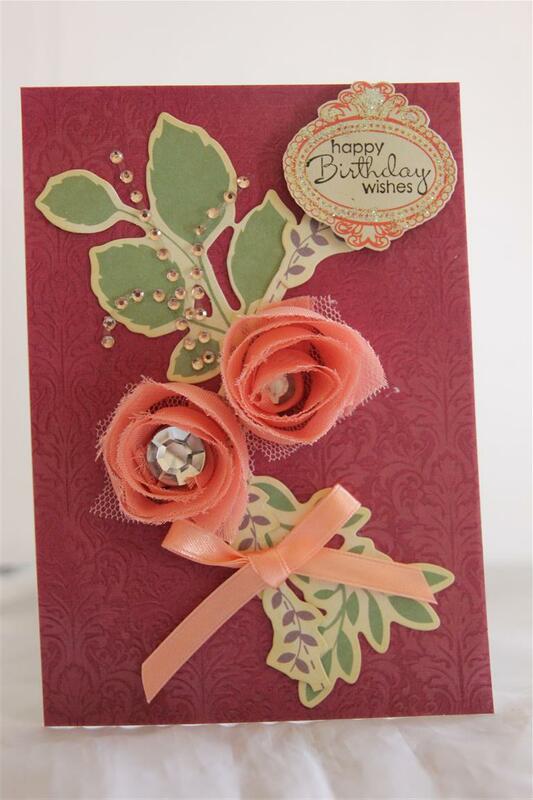 Today we are back to my Kaisercraft Flora delight series, – love the orange and green for a change of pace…. here I have fussy cut some of the paper to stick on top of some of the green paisley patterned piece, and added a kaisercraft flower and some punched leaves and a butterfly with bling and ribbon to finish. 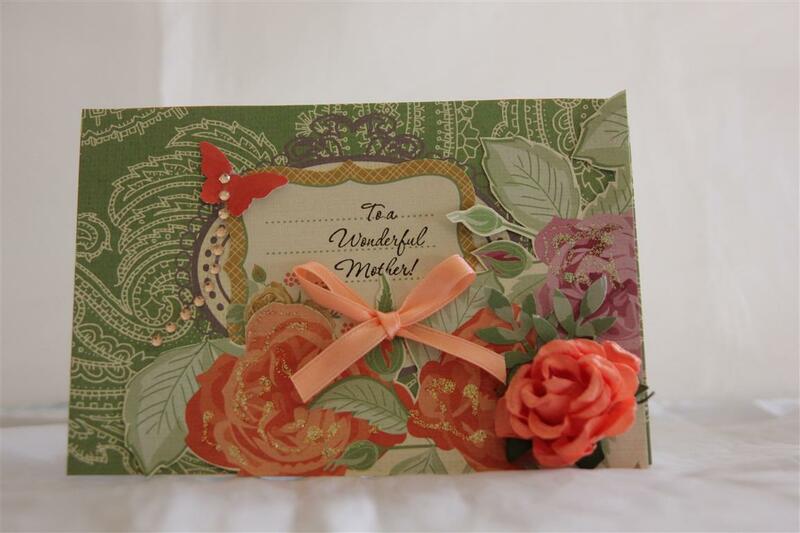 The sentiment stamp is from Stampin Up – Wonderful Mother – a perfect set for mothers day cards. I have been concentrating a lot lately on my patterned papers, as I am trying to reduce my collection a little, but this weekend I have been making some cuttlebug cards, and some others that rely on Colour and shape( as we speak on my desk is a yummy collection of black, pink and green which I can’t wait to get back to) but my photographer Nathan is very busy this weekend sorting through hundreds of photos that he took at our boys wrestling companys’ huge show last night, so it may be a little time before I can get him to photo my new cards! it’s back to the room for me – til tomorrow….. 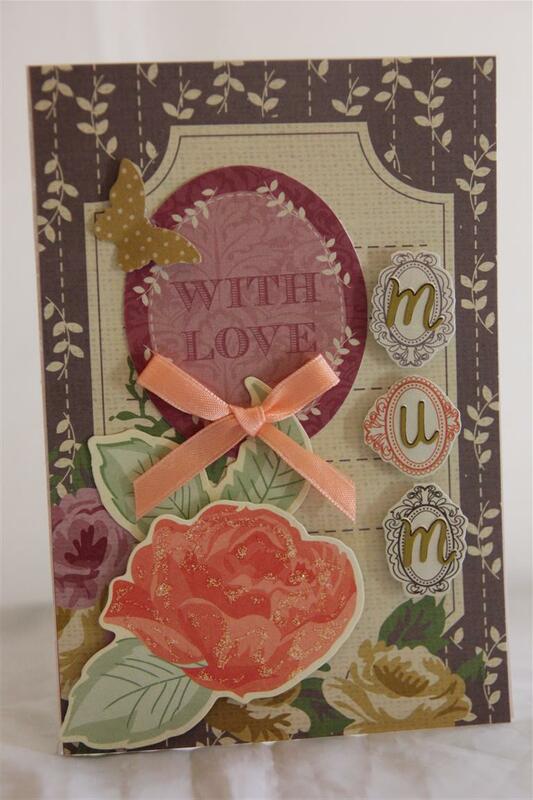 This is Kaisercraft Flora Delight paper released last month,,, and I fussy cut some of the flowers out or some of the same. 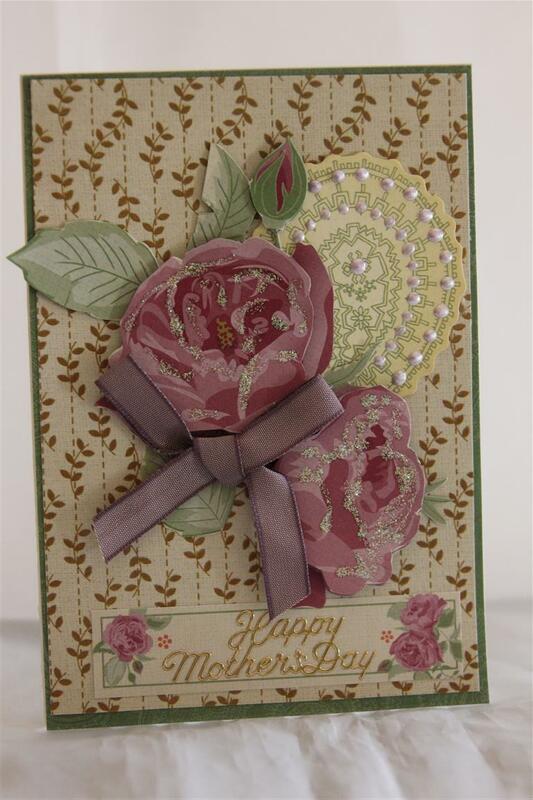 Just added some liquid pearls and a ribbon – another Mothers day card done . Quick post tonight – tea is cooking as we speak! Til tomorrow…..